You are here: Home / eCommerce / Should I Sell Through My eCommerce Website or Amazon? 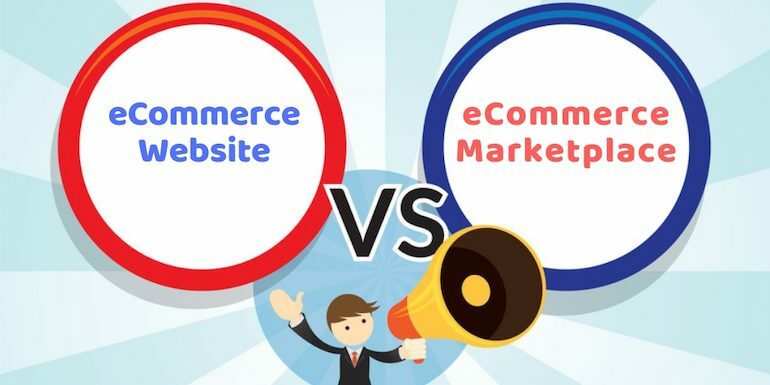 Should you create an e-commerce website to sell online or use an e-commerce marketplace like Amazon? If you are not able to decide, let me help. I will share the pros and cons of both. It should help you decide which is the best solution for your business online. An eCommerce website is an online store of a business. It facilitates customers to transact with the company directly online. The company is the owner of the eCommerce website. There are many advantages of an eCommerce website. Total control – The business or the owner of the eCommerce website is in full control of the site and data. Full access to buyers’ information – The data of customers is available to the website owner without any restrictions. The website can contain any extra information as per the business needs. Custom Store Design – There is unlimited scope for creativity in store and website designs. Zero Commission – There are not commission or charges for orders. Marketplaces charge massive commission on each request to the vendor. Freedom of Product Pricing – The seller has the right to price the product as per the MRP. In marketplaces, the price of the product has to be in line with the other vendors’ products. As every vendor is trying to grab customers, it is often a race to the bottom. Robust analytics and reporting system – There aren’t any limits to the traffic analysis on his e-commerce website. The process is a lot limited when in marketplaces. As an example, one can use Google Tag Manager to track cart abandon rate. Mobile App – One can have a mobile app for the website to create offers customized to the business. Let me share the principal disadvantages of an e-commerce website. Learning curve – Though one can use WordPress + WooCommerce to set up an e-commerce website. Still, it has a learning curve to use them effectively. Upfront cost – The domain and hosting have an upfront fee. Start from scratch – There is an initial marketing cost of build customers. Even if you have offline customers, still, one has to work towards bringing them online. Do Data Analysis – With great powers comes great responsibility. The total control of the website comes at an extra time-consuming process of analyzing the traffic to the site regularly and working towards building it. Hire Experts – Need experts to take online e-commerce website to the next level. Marketing experts to build a brand where users come to the portal and finally make a purchase. Optimize – The complete website optimization like SEO optimization, social media optimization, newsletter subscription needs doing. Debug Errors – Any issue on the serverside connectivity or in the code has to be rectified. It can lead to lots of costs initially. Updates and Security – One has to keep up with the security updates for the e-commerce portal. Third Party Integration – Different payment solution for a customer means different third-party payment gateway integration. Often cash on delivery is a preferred mode of payment for customers on a new website. So an e-commerce website has to go for shipping services with cash-on-delivery services. It seems there are more disadvantages than advantages but let us also consider the marketplaces. An eCommerce marketplace is an online portal where multiple sellers list their products for sale. Existing customer can purchase them. Marketplaces charge a commission for selling the product. Marketplaces are rented platforms. Seller has to pay the commission for each item sold each time. Smooth Setup Process – The marketplaces have a complete process to embark new vendors smoothly without any hassle. Access to Ready Available Large Audience – Marketplace provides a bunch of tools to get selling almost immediately to existing customers. Brand Value of the Marketplace – Marketplace is popular among customers because of the brand building they do. All in one solution – Marketplace has everything built in one single interface to facilitate sellers. Create products listing, manage inventory, marketing, reviews, etc. Minimal Time to Start Selling – One can start selling online in a very short period. Growth Hack – Vendors can use the research of the marketplace to generate more sales. No Upfront Setup Cost – There is no upfront cost to list the products. Here come the common disadvantages of marketplaces. Restrictions on communicating with buyers – Marketplaces do not share complete customer information to vendors. They can interact only via the marketplace. Default Shop Design – There are limited design changes a seller can do to the store or the product pages. Huge Marketplace Commission – Though marketplaces don’t charge upfront fees, they have a very high commission on each item sold. 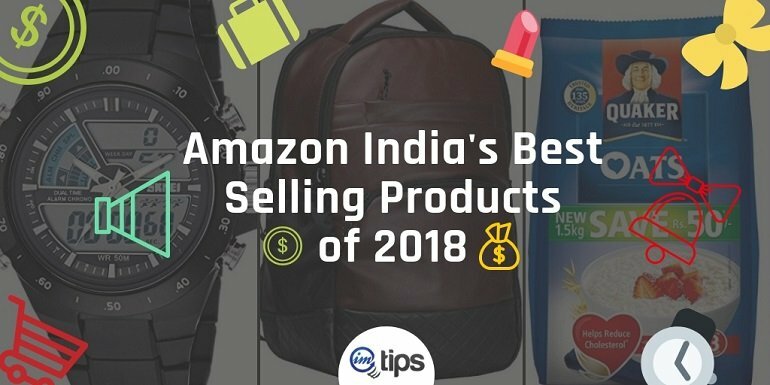 Some category of products has as high as 25% of the price as commission charges. No Pricing Power to the Seller – The customer always sees the lowest priced seller as the first choice to buy from. As a vendor, the price of the item will decide your fate in the marketplace. Stricter Guidelines – Selling on marketplace comes with an extra bit of adherence to guidelines. As an example, one needs to have a GST number when selling online in marketplace irrespective of the turnover. Apart from that, there are many other restrictions including the category based restrictions or even need prior approval to sell specific items. If you build an eCommerce website, you will enjoy the full flexibility. But it needs a lot of time and effort. Marketplaces seem cheaper option to start selling online faster. So ideally one should start selling online on a few large e-commerce marketplaces. On the sideline, one should also build an e-commerce website too. There is very little at stake to it and gains can be huge. It can be a secondary source of sales and revenue online.